- Somaliland is a country that had been a stable and independent state from Somalia in the past 27 years after gaining its independence on 18th May 1991. In May this year, Somaliland continues to protest its legitimacy as an existing nation forward to show the world that it is the only nation in the Horn of Africa deserving for an international recognition. Being a peaceful and a stable country, Somaliland elected its fifth president calmly in 2017, While Somalia is known as a country that was once on the center of world attention but now became a failed state of No-2- according to the Fund for Peace’s Fragile States Index of 2018. 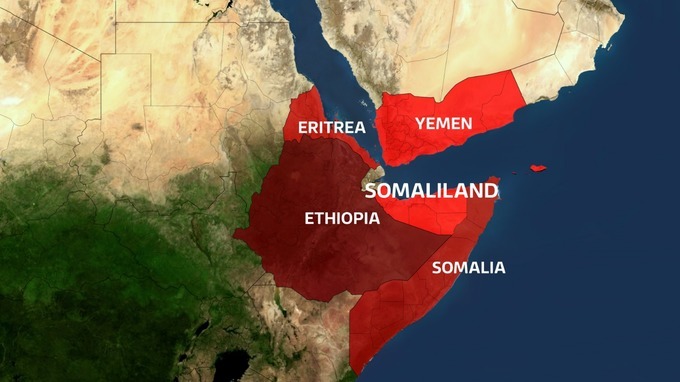 However, Somaliland is different from that and has created a haven of stability and self-governance though the international community is still ignoring Somaliland phenomenon in the Horn of Africa since it is doing better than other parts of Somalia. Let me say, talks or no talks with Somalia, Somaliland sovereignty is neither for dialogue nor compromise. Getting ready for marking 18 May independence, the Organizing Committee led by the vice president of Somaliland, His excellence, Abdurrahman Abdilahi Ismail (Saylici), announced that the current celebrations for independence will coincide with the holy month of Ramadan but was put forward on 15 May, 2018. The slogan of this year is “THE SELF-RELIANCE AND SOLIDARITY FOR ALL SOMALILANDERS, IS WHAT A NATION COULD GO FORWARD”. The people of the Republic of Somaliland have been doing preparations for this day in the last two weeks and are now ready to show the world how they are jubilant over their sovereign state to be recognized by the world and support the government decision that they wouldn’t be back to Somaliland. Speaking at the meeting of the organizing committee at the presidential palace, the vice-president called on the people of Somaliland to come out for marking 18 May of this year and asked the opposition parties to concentrate on nation building. Following government message, all people prepared themselves to tailor Somaliland flags which made the tailoring and printing businesses to be busy. Many believe that the fruitful elections instigated Somaliland to be living peaceful with neighboring countries and the latest presidential election in 2017 bolstered the case for independence and showed the world countries that it has the right to be recognized as an independent state from Somalia. In other words, many international diplomatic individuals from the different states in the world expressed good feeling for Somaliland democratization process and said that Somaliland could have been rewarded for what they have done including the peace and tranquility, they established in an unstable region. Although world is ignoring to Somaliland demand for recognition, but now the political international arena is changing. For this purpose, Somaliland should strengthen its foreign policy in the United States and Russia, the two of the world’s leading powers that if one of them decide to recognize Somaliland and then all others will follow the suit, since many, including the African Union argue that recognizing Somaliland as an independent state could bring turmoil to the region could be realized as a mistaken idea but they should support that Somaliland and Somalia could be two independent countries from one other that can help with each other in fighting against terrorism, piracy and insecurity in the region. In nut shell, Somaliland government and its people should remember their past and continue fighting for recognition due to the recent changes in the international political arena that created an inspiring hope for Somaliland’s statehood. I would like to pass my wishes to all Somaliland citizens at home and abroad for marking the 27th Anniversary of 18 May independence day. I call for all Somalilanders and followers to mark the celebrations of this day in a peaceful situation. May ALLAH bless and care for Somaliland people and their government. Muse Jeeh is a freelance writer based in Hargeisa, Somaliland.